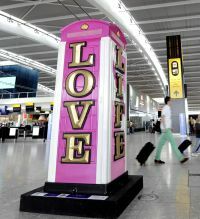 Heathrow is playing host to an iconic Gilbert Scott-designed British phone box, which has been redesigned by London artist Ryan Callanan, and installed in Terminal 5 as part of a Capital-wide exhibition. The idea is to create a very British welcome for passengers travelling through the terminal. Lord Marshal of Knightsbridge (78) passed away last week. 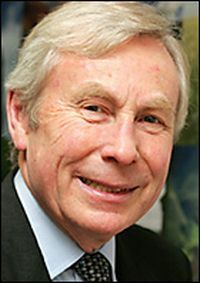 He was Chairman of British Airways from 1993 until 2004 and was previously Chief Executive Officer from 1983 taking it through privatisation. The genial Marshal was in many ways ‘hands on’, always ready to stop and talk to staff and customers alike. 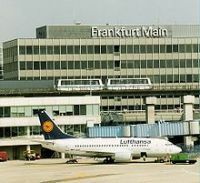 The recent night time ban at Frankfurt has resulted in a lack of slots at that airport with the consequence that Lufthansa’s winter service to Cape Town will be moved to Munich. Heathrow T4 has hosted the inaugural arrival of Malaysia Airlines’ Airbus A380. At 40” it is claimed to have the widest First Class seats in the skies. 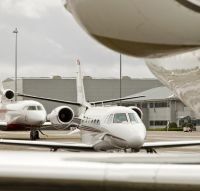 RAF Northolt, which could revert to scheduled civilian use under plans under consideration by the Government, has availability for private commercial traffic in the period up to the opening ceremony of the London Olympics. Perth, Western Australia, has become a major British target for Qatar Airways as it launches thrice-weekly services to the country’s mining and exploration hub. Are you getting by email BTNews on a Monday? Britain’s ability to handle two major international events at virtually the same time (the Olympic athletes are beginning to arrive) will be put to the test this week with the opening of the Farnborough International Airshow today (9 July). Early indications are that the aviation gathering is set for success although, with no major new aircraft, it will be less high profile than in previous years. 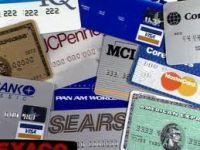 Whether Airbus and Boeing continue with their silly game of announcing orders, provisional orders, letters of intent, and even reservations we wait to see. Business pages looking for ‘good news’ headlines will always take them up. The airshow organiser, Farnborough International Ltd, has confirmed that exhibition halls are 100% sold, and has witnessed unprecedented interest from international businesses who now account for 55% of its total exhibitors’ space. These now stand at 1,400 with country pavilions from the likes of Italy, France, Russia, USA and Mexico all filled with prospective business partners. Firsts for the show this year include a civil delegations’ programme, the launch of the Aviation Security and Innovation Zone and the European debut of the Virgin Galactic, showcasing a full size replica of SpaceShip Two. Other initiatives include the ADS (industry) conference programme, Space Zone and Unmanned Systems Showcase. 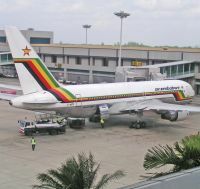 Ailing Air Zimbabwe has suspended domestic services barely two months after it resumed flights. Last week President Robert Mugabe made a connection to Johannesburg and on to Singapore for medical reasons. 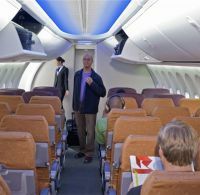 By early 2013 Delta Air Lines will begin offering in-flight internet service on its long haul international fleet of more than 150 aircraft, which includes Boeing 777, 767, 747, Airbus 330 and transoceanic Boeing 757. Virgin Atlantic was the first airline to land at Las Vegas McCarran International Airport's brand new, high-tech Terminal 3, which is now open. Just like the airline’s original maiden flight over a decade ago, also from Gatwick, the 747 was met by Las Vegas Show Girls in a true Vegas-style celebration. Last week’s statement from the Office of Fair Trading (OFT) could not be clearer. We reproduce a slightly abridged version. 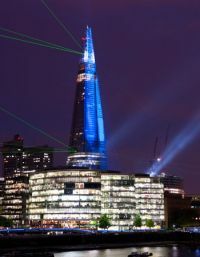 Readers who may have noted a mention in some newspapers suggesting that the mighty Shard project at London Bridge on the south side of the Thames was finished have been somewhat misled. Readers of The Business Travel News can now watch a Germania Boeing 737-700 manoeuvre on the ground with the engines shut down and no tug vehicle provided. Just click on the aircraft video. What do Miami Beach, St Tropez and St Barths have in common with the infamous party resort of Magaluf, on the Spanish island of Mallorca? They are all home to the renowned beach club concept Nikki Beach. 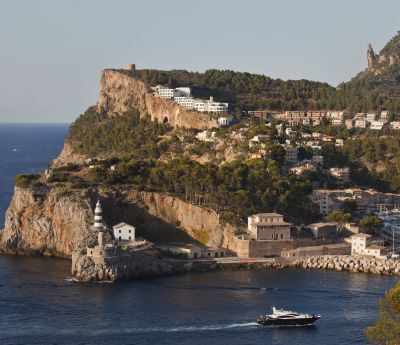 But you won’t find the name Magaluf in the address of the new Mallorca club, which opened last month in the first phase of an ambitious redevelopment of one end of the resort’s long stretch of white sand. A burgeoning choice of more compact SUV (sports utility vehicle) cars currently on the market means that new comers to the party must state a case. 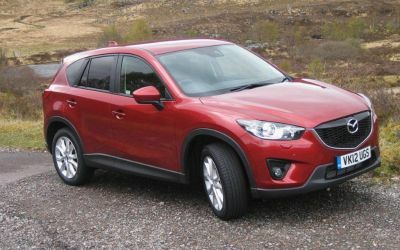 Mazda has certainly taken this fact on board with the arrival of its first contender, the CX-5 (slotting logically under the larger Mazda CX-7) that is styled in the current vogue of a mix of curves and sharp angles and boasts a number of technical innovations. In his speech to the Aviation Club last week Vueling CEO, Alex Cruz, offered this wonderful quote about air travel by Nick Calio, President and CEO of Airlines for America, the powerful lobby group. He called the flying business “the most regulated deregulated industry (in the world)". Not easy to say but very true. We have chandeliers at Atlanta (more next week), classic telephone boxes in Heathrow (this issue) and bronze models at London City to name just a few airports with an artistic bent. Not to be outdone, Changi, easily the most aggressive airport when it comes to PR, has now gained a significant piece of decoration. Airbus’ full range of commercial and military aircraft will be on show at Farnborough and whilst the A380 will take part in the air display not so the much delayed A400M, only seen in the aircraft park. Travelodge says that it will open seven hotels this month, four being in London, making the chain now claiming to be the capital’s largest hotel brand at the Olympics. With these new openings (in Balham, Enfield, ExCel and Woolwich) Travelodge has 54 hotels in London (7,024 rooms) and has hit the target it set three years ago of becoming the largest hotelier for the start of the Olympic Games. Building on the success of its award-winning lounges at Heathrow, Gatwick and Stansted airports, No1 Traveller said it will open its latest offering in October. Boeing has confirmed the 787 Dreamliner participation for the first time in the Farnborough International Airshow flying display this week. This will be a major part of the manufacturer's show contribution. The aircraft will also be available for viewing (by arrangement) in the static display every morning and is bound to arouse great interest. The new Business Class seats (seen by BTN at the Business Travel Market) are a quantum leap in cabin accommodation. In a well received speech to the Aviation Club in London last week Vueling CEO, Alex Cruz, said that Spain has overtaken the United Kingdom as Europe’s most taxed economy when it comes to the airline business. New, much higher, taxes came into effect on 1 July, regardless of when you purchased your ticket, and further increases are expected for 1 January 2013. 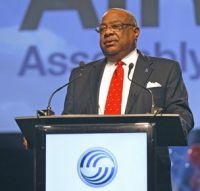 In a major strategic announcement Airbus has confirmed it will establish a manufacturing facility at the Brookley Aeroplex in Mobile, Alabama, to assemble and deliver A320 Family aircraft. The city of Mobile is at the far south of the State on the Gulf of Mexico.